Despite ongoing political tensions between the United States and Russia, the stage is set for a new collaboration between the two countries' space agencies on a groundbreaking mission to explore the planet Venus. In late January, a team of Russian and U. S. scientists delivered a report to both NASA and the Russian space agency that outlines how our two countries can work together on a Russian mission, Venera-D, already in development. Both space agencies share a similar scientific curiosity about Venus and possess valuable expertise in robotic spacecraft and planetary exploration that can be of great benefit to the mission. The Venera-D spacecraft is planned for launch sometime around 2025. 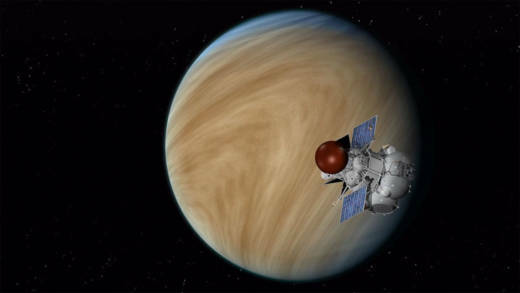 The mission is set to include an orbital robotic spacecraft that will map Venus' surface using more powerful radar imaging techniques than in the past two missions. Both countries sent spacecraft to map the surface in the 1980s. The mission will also include a robotic lander able to withstand the searing, high-pressure environment on Venus' surface for a longer duration than past landing missions. The 1982 Venera 13 lander is the current record-holder: it survived for 127 minutes before succumbing to the extreme surface conditions. Another idea being explored by the joint Russian-U.S. team is a solar-powered, dirigible-borne robot that would float around in Venus' upper atmosphere for up to three months, analyzing the atmospheric composition and weather and the planet's surface below. Venus has long been a subject of scientific intrigue and mystery, as well as exploration, even though other planetary destinations, such as Mars, grab a lot more public attention. Exploration of Mars has revealed a world that was once much more Earth-like, possessing surface water and environmental conditions possibly suitable to support life—and what could capture someone's curiosity more than that? But in many ways, Venus is at least as interesting as Mars. 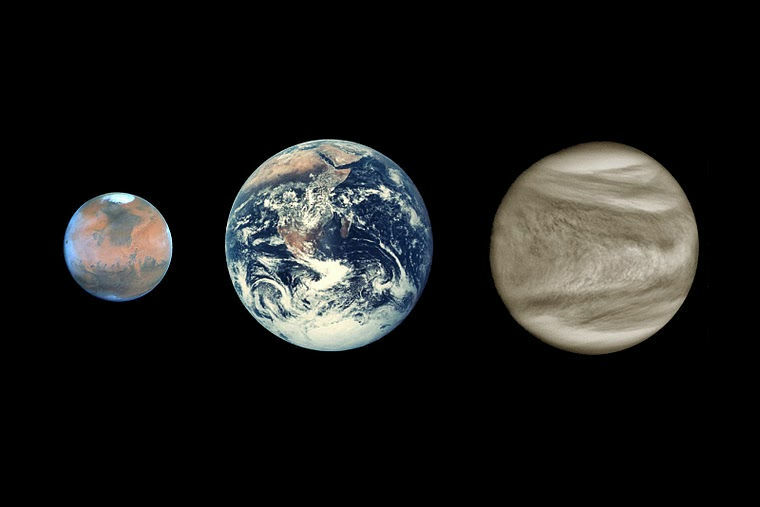 Venus is often referred to as "Earth's twin," being Earth's nearest planetary neighbor, of almost equal size and very similar chemical and mineral composition, though their similarities seem to end there. The atmosphere of Venus is made almost entirely of carbon dioxide, a "greenhouse gas" that captures solar energy to heat the planet's surface to 462 degrees Celsius, day and night. Atmospheric pressure on Venus' surface is about 90 times that of Earth—equal to the water pressure half a mile deep in Earth's oceans. A stove-top pressure cooker comes nowhere near the temperature and pressure of Venus. Venus also rotates backward, and so slowly that a single Venusian day lasts a grueling 243 Earth days. 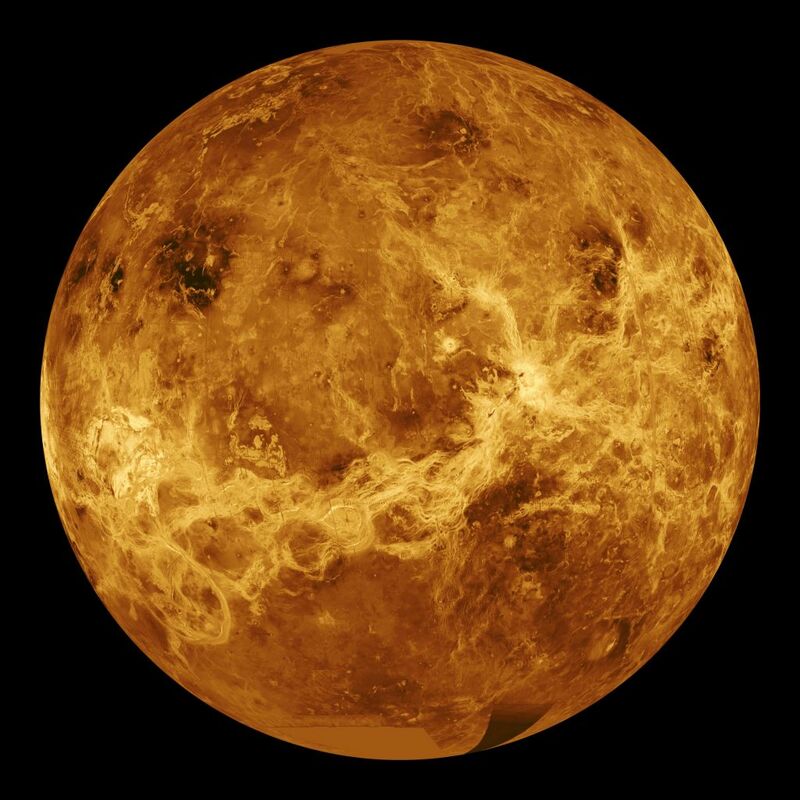 And Venus' famous global shroud of cloud is composed of sulfuric acid, which may produce corrosive rain that evaporates before reaching the ground. There is also a lot of evidence of widespread volcanic activity, both past and present. Was Venus More Like Earth's Twin in the Past? As inhospitable to human life and robotic machinery as Venus' surface is today, there is speculation that long ago Venus may have possessed oceans of liquid water. If true, this would raise the possibility that Venus could have been home to some form of life in the past—something we have speculated about the planet Mars as well. If Venus—and Mars, for that matter—were once more Earth-like, with oceans of water and environments suitable to sustain life, then both planets today would be valuable troves of information for scientists in understanding how planets like the Earth change over time. What factors caused Earth, Venus, and Mars to evolve in such different directions? We may explore the possible future of our own planet by studying the examples of Venus and Mars. Scientific curiosity about our world and universe often transcends political rivalries. Present-day tensions between the U. S. and Russia may be a source of anxiety, but there may be some reason for optimism in the willingness of their scientists to work together for to better understand the workings of the world we all live in.